For almost one century Sibelius was recognized as the finest symphonist of the 20-Century alongside Nielsen and few other authors. His seven symphonies, the symphonic poems, and the violin concert created an image of a composer able to develop only large-scale works as the German Anton Bruckner and the Italian Giuseppe Verdi. Except for the string quartet “Voces Intimae” (1909), just a bunch of chamber works were knows by musicians, most of the part of his chamber music was one of the most neglected areas of his musical production. With the rediscovery of the stage music and the reappearance of the original manuscript, the music world assisted to a radical change: a real Sibelius Renaissance. In 1982, the composer’s family donated to the Helsinki University Library all Sibelius’ s archive and thanks to the scholar Kari Kilpelainen’s official catalog, the process of rediscovery finally started. All works were formerly unpublished and unknown, including works by the young composer as well as forgotten compositions from his mature period. Suddenly, performers from all over the world discovered how Sibelius was an excellent chamber music composer, not inferior to anyone else of his time. Jean Sibelius (b Hämeenlinna, 8 Dec 1865; d Järvenpää, 20 Sept 1957). Finnish composer. He was the central figure in creating a Finnish voice in music in the late 19th and early 20th centuries. His most significant output was orchestral: seven symphonies, one violin concerto, several sets of incidental music and numerous tone poems, often based on incidents taken from the Kalevala, the Finnish-language folk epic. His work is distinguished by startlingly original adaptations of familiar elements: unorthodox treatments of triadic harmony, orchestral colour and musical process and structure. His music evokes a range of characteristic moods and topics, from celebratory nationalism and political struggle to cold despair and separatist isolation; from brooding contemplations of ‘neo-primitive’ musical ideas or slowly transforming sound textures to meditations on the mysteries, grandeurs and occasionally lurking terrors of archetypal folk myths or natural landscapes. A master of symphonic continuity and compressed, ‘logical’ musical structure, he grounded much of his music in his own conception of the Finnish national temperament. Throughout the 20th century Finland regarded him as a national hero and its most renowned artist. Outside Finland, Sibelius's reputation has been volatile, with passionate claims made both by advocates and detractors. The various reactions to his music have provided some of the most ideologically charged moments of 20th-century reception history. Max Reger (b Brand, nr Bayreuth, 19 March 1873; d Leipzig, 11 May 1916). German composer. His musical style, which combines a chromatic harmonic language with Baroque and Classical formal procedures, situates him as both a successor to late 19th-century Romanticism and a forerunner of early 20th-century modernism. The philosopher G. W. F. Hegel, father of German Idealism, regarded music as the highest of all arts. Thesis, antithesis and synthesis describe the dialectic process of which chamber music is the absolute representation. 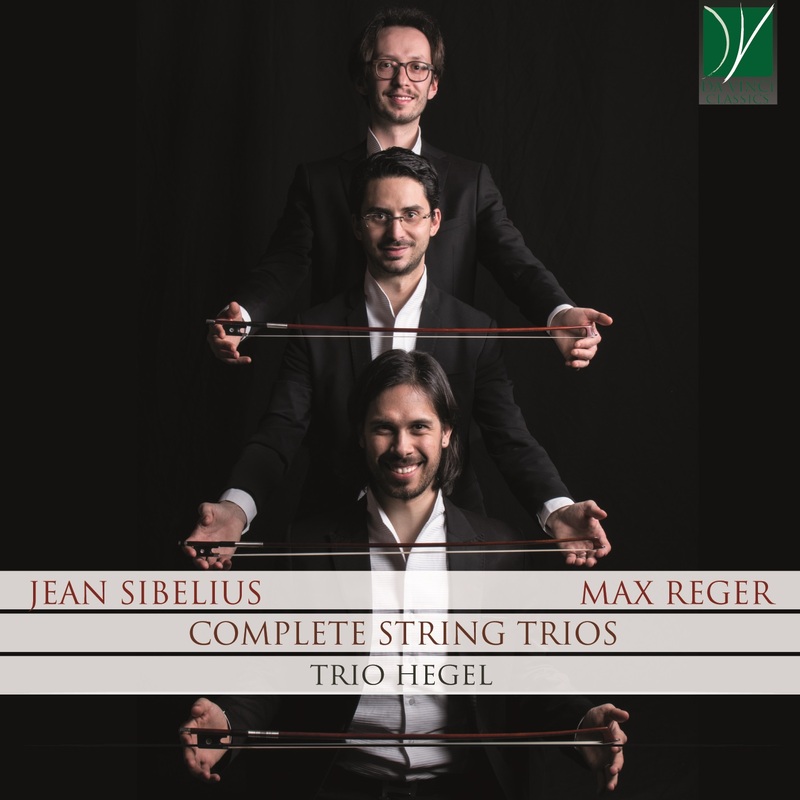 The Trio Hegel, within a short period, has obtained prestigious awards in a great number of international competition and has performed in several concert festivals, winning unanimous praise. The artistic development of the Trio is bound to the names of the Quartetto di Cremona and Antonello Farulli; other meetings that were crucial for them wer those with L.Simoncini (Nuovo Quartetto Italiano), J. Kussmaul (L’Archibudelli), A. Repetto (Quartetto di Torino), C. Giovaninetti (Quartetto Ysaÿe) and the conductor U. B. Michelangeli. The Trio Hegel has made a CD on the Tactus label of pieces by Tuscan composers Luigi Cherubini and Giuseppe Cambini which were recorded for the first time ever, and an album exclusively dedicated to the compositions of Mauro Montalbetti for the A Simple Lunch label. The violist of the Trio is honoured to have the opportunity to play a viola by I. Sderci belonging to the "Adriana Verchiani Farulli Collection" by kind permission of the “Piero Farulli Association”, and Mrs. Adriana Verchiani.